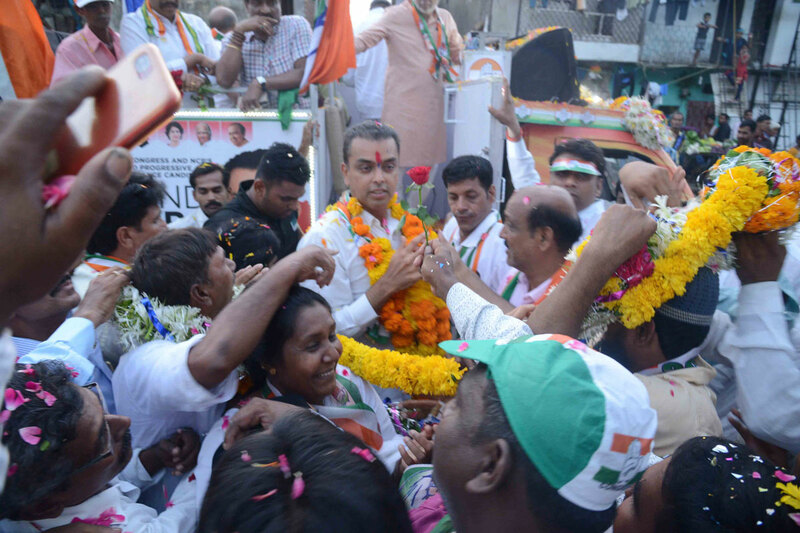 Mumbai South LS Congress-NCP Candidate Milind Depra during his Election Campaign Rally at Sewree. Description: Mumbai South LS Congress-NCP Candidate Milind Depra during his Election Campaign Rally at Sewree. Mumbai Suburban City Guardian Minister Mohd Arif Naseem Khan Visited Fire Spot Lotus Business Park at Andheri & Cooper Municipal Hospital Vile Parle.